Have you ever hosted a corporate event? Depending on the size of your company, there are quite a few things to consider. Where are you going to have the event? Restaurant? Hire a conference room at a hotel? What about the food being served? Drinks? Is it for all staff members, as well as clients or suppliers? What about spouses? Your guest list might just mushroom faster than you can imagine. How formal does the event need to be? Have you considered hosting a lunch, drinks or social event at a Belgian restaurant in Los Angeles? It really is a great choice. More than the beers are chilled…. 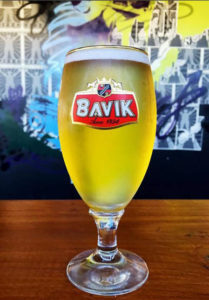 The beauty of a Belgian Bar in Los Angeles is that it is the perfect place to relax, especially after a long day at work, and socialize together in a unique way. Seating is often at tables, or at the bar. People are free to wander to both and can order drinks from a server, or the bar. Entertaining your guests is as simple as deciding if you’re going to watch the game, or chat amongst yourselves – or a bit of both. It’s also the type of setting where late arrivals won’t feel like they are upsetting the balance of the evening. And it’s the type of place where you can close the evening officially but still stay on longer for those that don’t have other commitments. People can stop by for drinks or stay to eat a meal. Catering an event can be costly, but at a sports bar, there are great deals. At Links n Hop, Atwater Village or Sunland Tujunga, you can take advantage of great specials. Look for Happy Hour deals on beers and fries, as well as a huge selection of craft beers. You can entertain many people at a high standard, and you don’t need to pay for the venue. Win Win. Cheers to that. You won’t need to pay for meals if there are no shows, either. You can run a tab with a limit too. Keep track of the costs and make your entertainment budget work for you. It would be a good idea to keep an eye on your guests and make sure that anyone who needs an Uber ordered for them, has access to a safe ride home. Be prepared to possibly count in some extra taxi/ride expenses in your budget. Being a responsible host is about more than footing the bill. Having said that, most people should keep themselves in check at work-related events but there just maybe one or two people who need keys taken away, and safe rides offered. 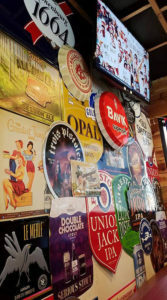 You’re sure to have a great social evening at a sports bar like Link N Hops. Step out of the office, and enjoy the relaxing atmosphere, chilled beer on tap, and friendly staff. Decide on a pre-arranged service fee or generous tip for any servers that are looking after your guests. Do let them know the spending plan for the evening and decide your budget beforehand. In Los Angeles, there is always something new to do, from carnivals and art events in the street to gallery openings or shows. When you are planning on taking someone out on a date, you could choose one of these big occasions, but you could end up standing on the sidewalk, cold and bored and unable to find anywhere to sit and eat. If you are concerned that this could happen to you, then one alternative solution is to take your date to Link N Hops. Our Sports bar in Los Feliz could provide you with everything that you and your date need for a great time. What could be nicer than enjoying a fantastic sausage with a new friend? How links come in a wide range of different styles and sizes, from traditional links including Polish beef and spicy Italian to more exotic dishes such as the Rattlesnake sausage with jalapeno. That contains rattlesnake, rabbit and jalapeno along with other spices, and is certainly one way to develop a talking point, as you decide whether you are brave enough to try such a dish. There are also other things that you can try on our menu, including platters which contain bratwurst, Kolbasa and Anduille, or more exotic platters if you fancy something different. Of course, even at Link N Hops we recognize that not everybody wants to eat a sausage in public. Instead, we can offer other options, including salads, nacho chips, burgers and even a pretzel. We will also give you fries or pickles to go with your sausages or salads. When you are looking for a great place to eat, come to see us today. 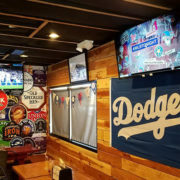 We are so proud of our Sports bar near Los Feliz that we think you will want to keep coming back to see what new beers or sausages we have to offer you. 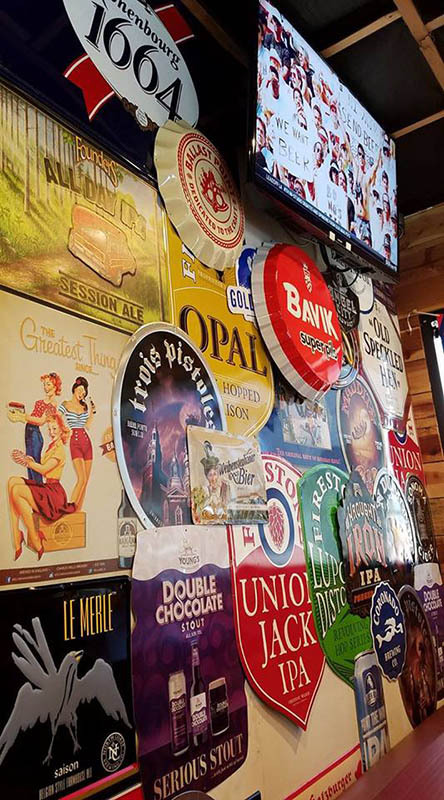 You can also join us for one of our special events, including Hoppy Hour, where we give you two dollars off of any draft beer, offer you lunch specials or a late night happy hour. Just come to visit any time you like, we are always happy to see you, or send us a message through our online contact form today. Do you know your craft beers from your “crafty” fake craft beers? What is a craft beer bar? What is craft beer? Well, much like a small vineyard that produces a smaller harvest, and a unique master blend of grapes to produce a unique wine, craft beers are produced and sold in a limited way, and the flavor palette is as unique. At Link N Hops we offer the best craft beers in town. In a time when we’re all enjoying pop up markets, street food and food trucks, craft beers have a great appeal – and the mass beer market, well, doesn’t want to be excluded from the craft market. It’s a marketing ploy, some might say, and you shouldn’t trust all craft beers. How do you spot a fake craft beer bar? You can go online and check labels. There are numerous sites where you can trace the true identity of the ‘craft’ beers offered. Don’t be too surprised if the craft inspired names such as “Ye Olde Brew” turn out to be linked to some of the big names in the business. Just because the packaging looks craft and the selection of tapped beers or ales seem craft-like, is not the same as genuine craft beers. Don’t fall for clever marketing. Do your research and chat with your local liquor store manager. Don’t fall Red Hook, Blue Moon, and Shock Top into a marketing trap. Are the Tap Beers always the same? The beauty of a true craft bar is that they should be continuously sourcing new ‘vintages’ for you to try. There should be new brands to try all the time. Chat with the staff and ask about the beers on offer. Can they tell you a bit more, or do they have stock answers? Look for passion and interest. 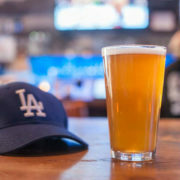 If you can’t see it – and the bartender is equally flat in enthusiasm you’ve probably stumbled into a sports bar, disguised as a craft beer bar. Pay. Leave. 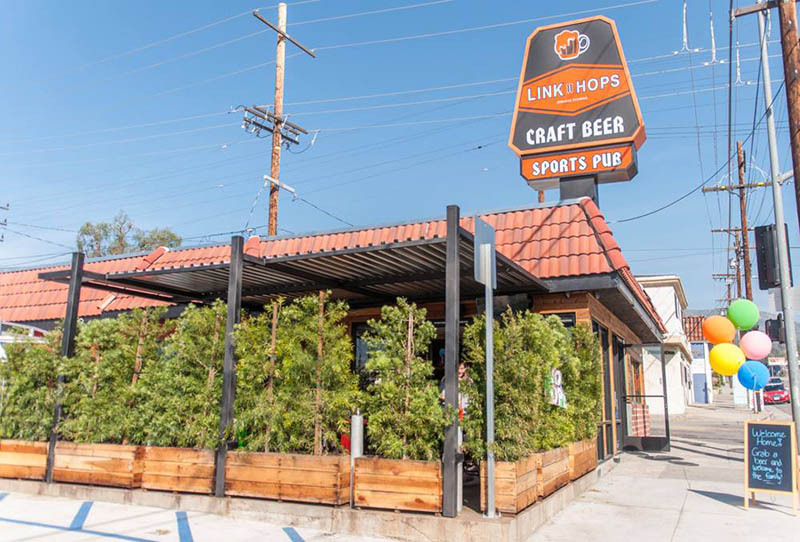 Head out to Atwater Village for a taste or real craft beers at Link N Hops. Do all the servers wear short shorts? Yes, a pretty server is catching your eye, but you will be disappointed with the ‘craft’ attempt, and it is daylight robbery if you’re being sold a mass-produced beer disguised as a craft beer. Penny may be pretty but once you have spent yours you’re not going to be feeling super enthusiastic about parting with your hard-earned cash in a fake joint. Don’t be catfished by the fake craft bars, and trendy names. Get real. 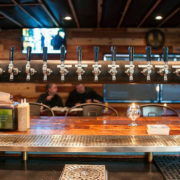 Go to Link N’ Hops and enjoy their selection of 100%, genuine craft beers. Cheers.